Using 4000 pounds per square inch (psi), hydro-jetting has the power to burst open the toughest blockages and at the same time scours the full diameter of the pipe, flushing debris and leaving lines clear. There is no better way to get your pipes draining as well as the day they were installed, short of replacing them completely. Maintain your drains with a regularly scheduled maintenance program to keep your system in top operating condition. One of the best solutions that Terry’s Plumbing offers is a service called hydro-jetting, or just “jetting.” Our team of repair and drain jetting Pittsburgh specialists will have your pipes running at optimum performance in no time. Essentially, jetting is a high-pressure water system that flushes and cleans your pipes, increasing the efficiency and flow of your lines. 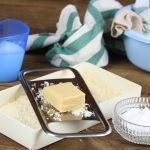 It removes grease, sand, debris, and other buildup that occurs frequently in drain and sewer lines. How Does Our Warthog Sewer and Drain Jetting Service Work? The jetter is a pressure washer that uses very high water pressure, up to 4000 PSI, to clean out the buildup and remove any debris from the walls of your pipes, including roots or grease. It is environmentally safe, economical and quick. The process is done through a cleanout, an opening or drain leading into a plumbing system. Jetting is often needed when traditional snaking does not clear the blockage. It’s also required prior to sewer lining to remove any debris so that the epoxy lining can bond correctly to the sewer line. High frequency drain lines will often back up on a regular basis. Jetting is a great way to save time and money. With a regularly scheduled jetting service, you can prolong the time between service needs. Terry’s Plumbing has highly trained technicians that will review your lines and offer the best solution to take care of all of your drain needs. We offer free estimates and viable solutions to keep your drains in excellent working condition. Restaurants, food service businesses, hotels, schools and hospitals experience recurring build up in interior and exterior lines. This build up can lead to chronic flooding & property damage issues, resulting in interruption of services & business. Terry’s Plumbing will evaluate your needs and design a specific 90 day, semi annual or annual Preventive Maintenance Program to protect your valuable investment, ensure health department compliance and prevent loss of revenue as a result of expensive closures. Please contact us directly for additional information and to discuss our extended service area for Preventive Maintenance Program. All of our services are based on your personal needs and customized just for you. 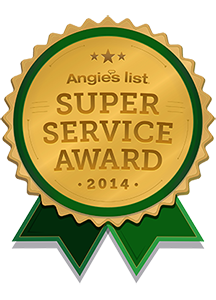 So, if you are in need of drain or jetting, Pittsburgh residents have trusted us for years. 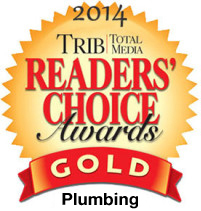 Ultimately, when it comes to Pittsburgh’s drains and sewers Terry’s can achieve Full Flow in your pipes!